Heraklion Airport is the main airport located on the island of Crete, Greece. Heraklion Airport is situated approximately 5 km east of the Heraklion downtown near the municipality of Nea Alikarnassos. This is the second busiest airport in the country. Heraklion Airport has two runways and it handled about 4.9 million passengers in 2010. Heraklion Airport has single passenger terminal. There is a kiosk selling a variety of products including chocolates, spirits, newspapers as well as bookshop and a gift retailer. There are two duty-free shops at the airport. As a part of VIP Cars, we offer economical car rental at Heraklion Airport in affiliation with best car suppliers such as Alamo, Auticandia, and Surprice Car Rental. Heraklion is the primary city located on the island of Crete and generally the starting point for holiday visitors wishing to explore the island. See one of the largest cities in Greece and ancient ruins on a beautiful island by rent a car in Heraklion. The absolute must see of the city has got to be the Palace of Knossos. The archaeological museum in Heraklion has the widest and amazing collection of artifacts excavated from the palace by the archaeologist Arthur Evans. Continue the historical theme by visiting the Venetian Castle of Koules. The Museum of Occupation of Crete is also an enthralling visit relating concerning to its World War 2 history. 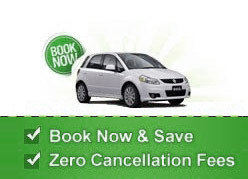 Contact our customer support team to book your car rental deal for Heraklion Airport.